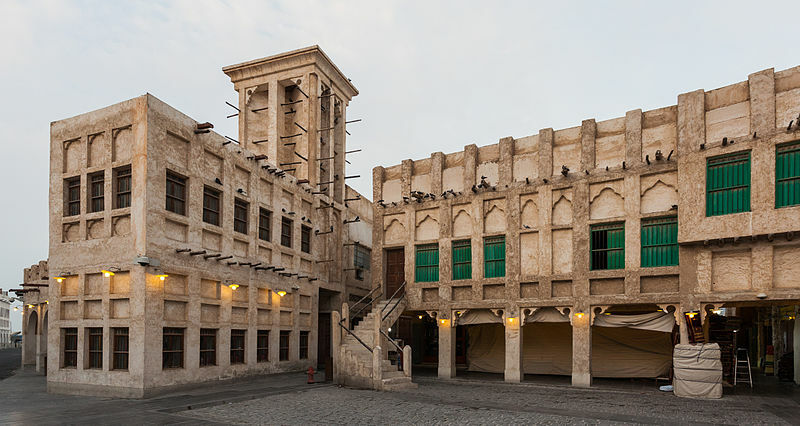 The Souq Waqif is one of the top must-visit places in Doha where one can find some fantastic spots to hang out at and a plethora of items for sale at great prices. The Souq Waqif has been around for almost over a century and was used by the Bedouin people to trade their produce and wares. The Qatari government gave the place a brand-new revamp from 2004 to 2008, however it still remains the only traditional Souq in the Middle East! Located in the very center of the Doha city and in the district of Al Souq, the attraction can be easily reached from most five-star hotels in Doha including the likes of Al Bidda Boutique Hotel quite easily. The ideal time to pay a visit to this bustling Souq is during a quaint morning, before lunch as the entire marketplaces close from noon onwards till 4.00 pm, later reopening at around 10.00 pm. Wind down the visit with some string Arabic coffee and a session of people watching! Visitors can find quite a variety of things such as household items, fresh fruits, fragrant spices, and handicrafts. One can also find exquisitely crafted jewellery being sold here as well for bargain prices. Traverse the many cafes and restaurants around the main area where you can try both local and international cuisines.